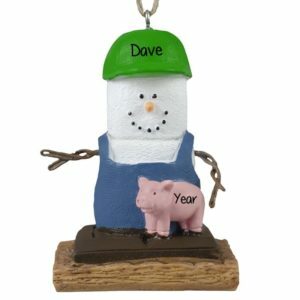 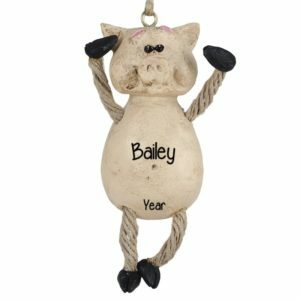 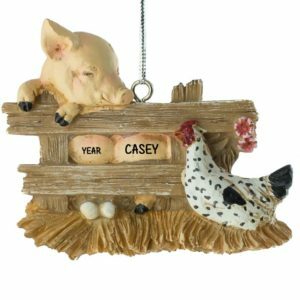 Check out our fun and unique selection of Pig ornaments! 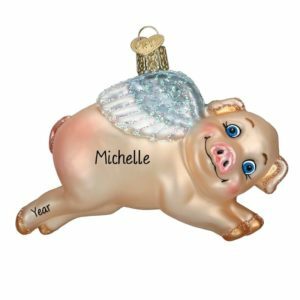 Pigs on Earth this Holiday season! 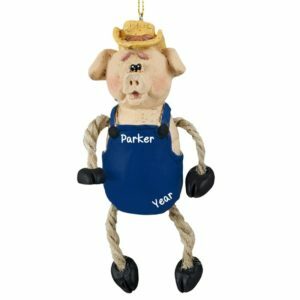 How about adding a cute little oinker to your Christmas tree this year! 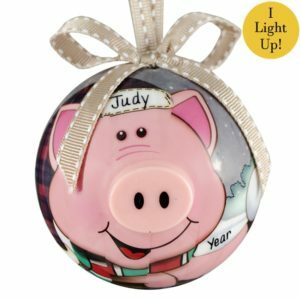 We have several from which to choose, and surely you will find one that makes you smile. 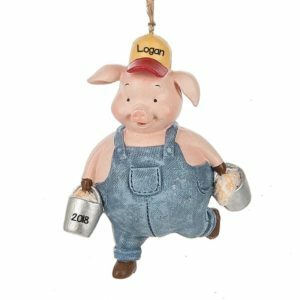 Perhaps your child or grandchild had a field trip to a farm this year, and you would like to help him remember that adventure for years to come. 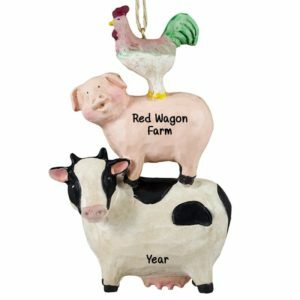 Maybe you have a friend who loves to decorate ‘country style’, and a barnyard critter is just the right gift! 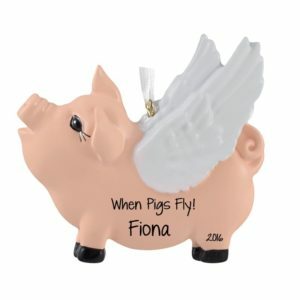 Miss Piggy, Babe, Porky & Petunia, Pooh’s pal Piglet are just some of the famous porkers that come to mind. 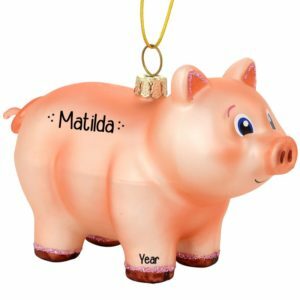 Personalized Ornaments For You has some pretty talented artists who would love to ‘ham’ it up by putting the sentiment/name of your choice on one of our adorable little pigs!